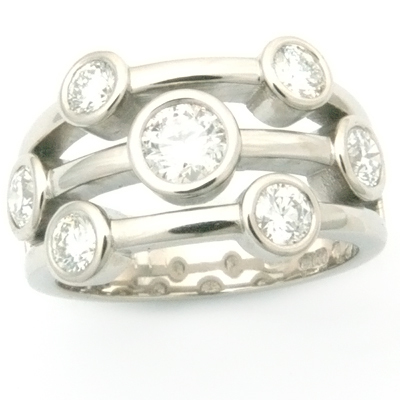 Palladium Multi Strand Diamond Eternity Ring — Form Bespoke Jewellers Ltd.
A beautiful multi strand eternity ring design set with diamonds. This design was created by the team at Form Bespoke Jewellers in Leeds for a customer who was looking to create an original eternity ring. The design was approved by the customer before being cast in palladium, which is part of the same group of precious metals as platinum. 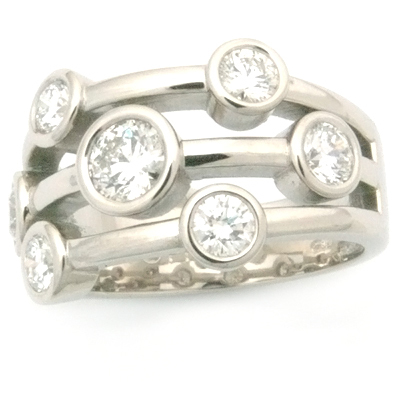 Giving the illusion of a stacker ring this design is in fact one complete ring, making it comfortable to wear and ensuring the spread of the diamonds is always perfect! 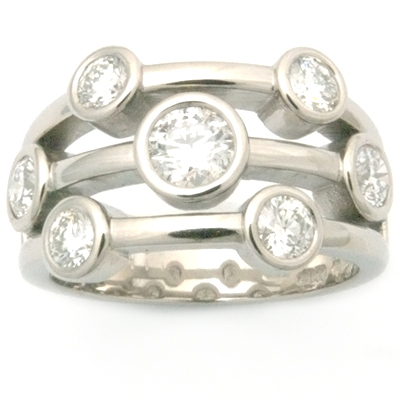 The wrapping effect of this ring is truly stunning and contemporary in design. The ring was then rub set with round brilliant diamonds of G colour and SI1 clarity in the following sizes; 1 x 0.35 carat, 2 x 0.18carat, 4 x 0.13 carat, with a combined total diamond weight of 1.23 carats. This design is perfect if you have diamonds set in old pieces of jewellery that are no longer being worn which you would like to be reset in a new design.